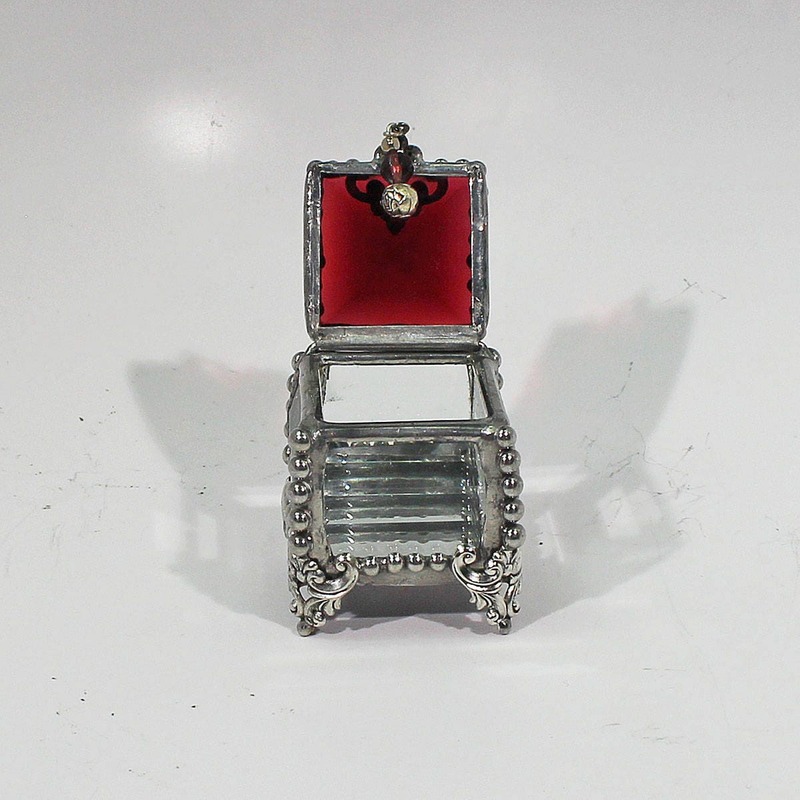 Inside measurements 1"x 1" x 1"
This little box is a showcase for one of the rare glass jewels in our collection. 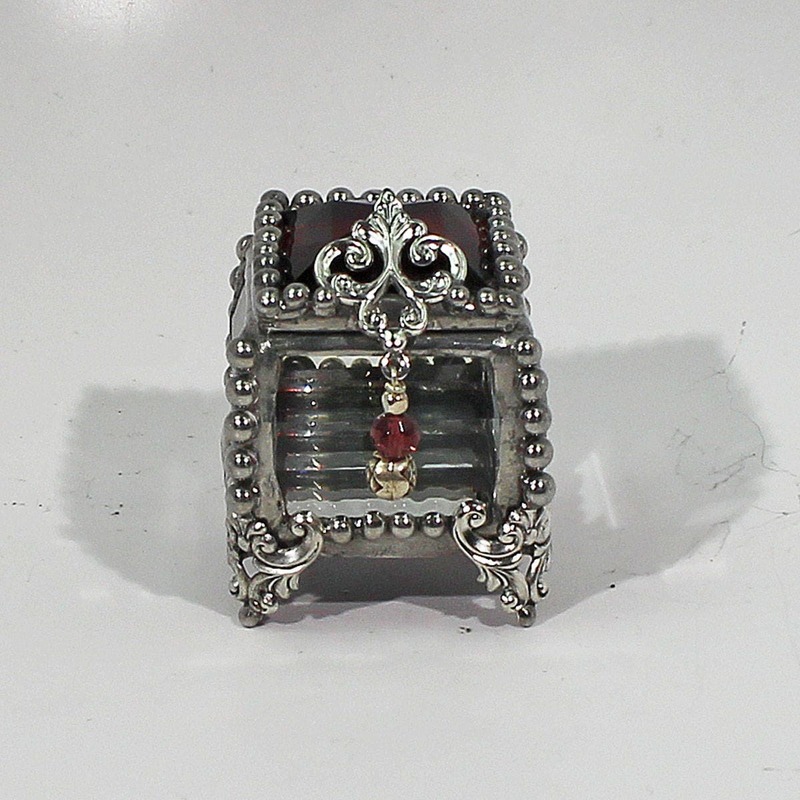 These rare glass jewels vary in size and color, they are from Eastern Europe Circa the 1920's. A very special place for something very special.